In the past, individuals facing mobility issues, either because of age, health, or a disability, were confined to one floor of a home or purchased a single-floor, ranch-style home. Mobility solutions, in recent years, have become more affordable, and out of all possibilities, stair lifts are the most economical. On a basic level, stair lifts have a straightforward design. A rail, or track, is installed alongside a wall, and a chair moves up and down. Typically, a swivel seat folds up at both ends to provide an unobstructed pathway for other users. However, as certain stair lifts support wheelchairs, some models, called “platform lifts” or “inclined wheelchair lifts,” feature a skid-free platform and a ramp. Both standard and platform models can be installed inside a house and outdoors. To use either system, the user sits in the chair or moves onto the platform, buckles ups, places his or her arms on the arm rests and feet on the foot rest, and rides the lift up or down to the next floor. 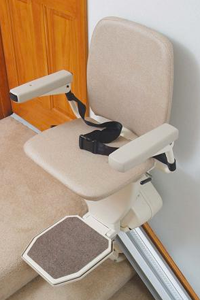 When the lift is not being used, the foot rest, arm rests, and seat can be folded up to create a clear walkway for anyone else who needs to use the stairs. Although mobility and independence needs are similar, stair lifts can fit an individual’s size or a home’s structure. 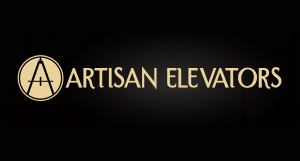 Narrow lifts match the limited space of certain stairways, while extra-large systems have been known to accommodate individuals up to 500 pounds. Outdoor stair lifts, as well, are built to resist long-term exposure to the elements while helping family members up dangerous ice- and snow-covered steps. There are two types of tracks used for stair lifts, straight and curved. Most use the straight track that brings the chair straight up and down. However, there are many homes where the stairs take a turn before they reach the next floor. If this is the case in home, a curved track is essential. Priced higher than straight models, a custom track is manufactured for this situation and allows the chair to take a turn and reach the next floor without stopping. Manufacturers, after taking an assessment, take into account the arcs and curves of a staircase, as well as any landings. Although different formats and sizes exist, stair lifts have similar functionality. Installed alongside a wall, it moves an individual from one floor to another. They are efficient and compact, meaning they do not cost much to maintain and will not hinder other people from using the stairs. Most stair lifts use a rechargeable battery that charges whenever it is not in motion. This ensures full battery power at all times and that it can still run in the event of a power outage. A full battery charge will be good enough for up to 40 trips in the event of a power outage.